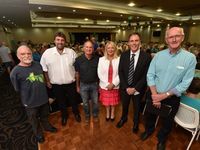 THE controversial sports precinct plans had the Fraser Coast community talking at the Chronicle's meet the mayoral candidate forums. The question was the only query of the two-hour Maryborough forum to receive applause from the crowd. Incumbent mayor Gerard O'Connell said the current netball and AFL facilities were not enough for the region's current population. 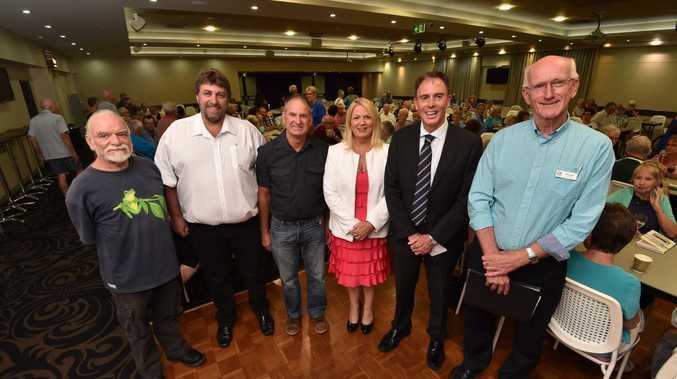 "We do have a problem now, because Hervey Bay has gone from 20,000 to 60,000 in a course of about 15 years," he said. 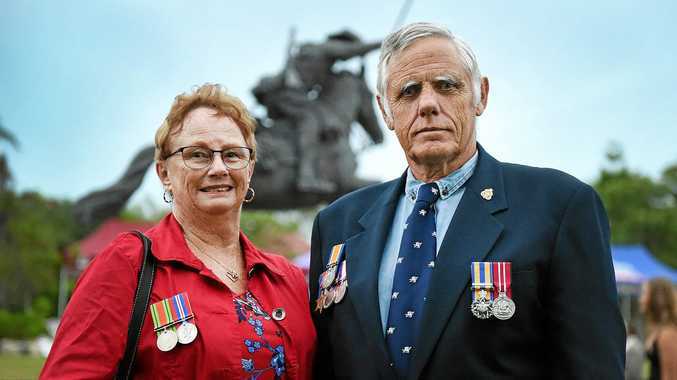 Who would you vote for to become Fraser Coast mayor? This poll ended on 09 March 2016. Candidate Jannean Dean said council needed to listen more to the community. "This is about your voices being heard - I am still yet to speak to somebody outside of Gerard's group in favour of it." Businessman Steven Coleman said he was initially supportive of the sports precinct. "When I first heard about it I thought it was a great idea because it was building for the future of the young," he said. "But only if the state and federal backed it by 85% to 90%." Division 3 councillor and candidate Chris Loft, who has long been outspoken about the precinct, said it had been painful to sit through the sports precinct process in council. He said he felt council had forced it on the region. "When the government comes along and says this is good for you, that's when the community is saying no we don't want it," he said. However, he did not say whether he was in favour of the plan or not before his time ran out. Construction worker Greg Schmidt said the region might be better off finding an area of Crown land to become trustees of the area for sports fields. "It needs to be affordable for those small clubs," he said. Former teacher Lee Carter said $5million was a lot to spend. "That's a lot of money which could be spent on sporting fields and sporting clubs in this area now," he said. The sports precinct was again brought up as the last question of the night, with a Maryborough woman lodging her support for the plan.